To try and get back into the “Good Design Day” tradition (for which I am trying to come up with a more clever name…) I’m going to break from my usual self-depreciating habits and spotlight one of my own pieces! This was an illustration I did for a contest for the Pittsburgh Vintage Grand Prix. 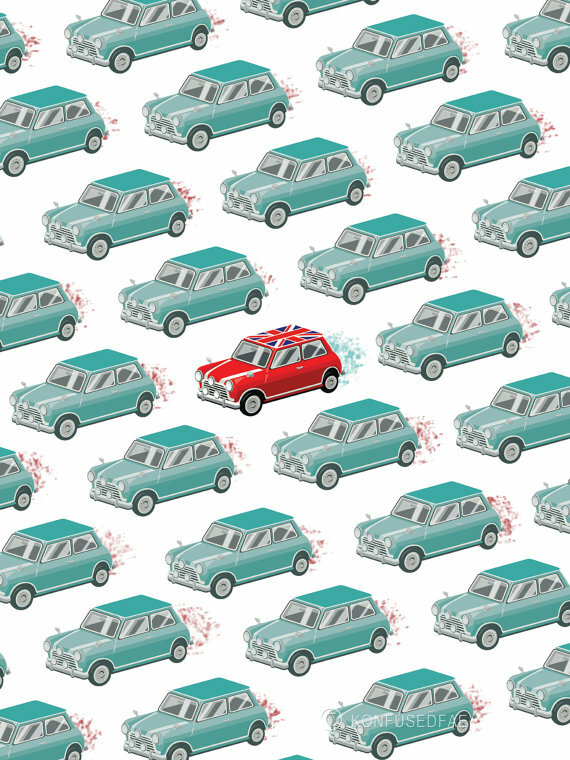 It was a poster to highlight the MINI for the 2014 Grand Prix. Mine did not win the competition, but it was a finalist. I love the wallpaper effect and have been creating a series of these posters in my head with various objects – and even animals. So to motivate myself to finally get around to doing some more wallpaper style pieces like this, here’s my first! You can buy a print here!